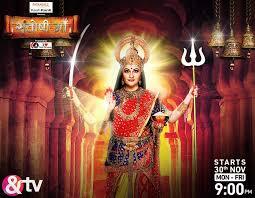 Santoshi Maa is a popular mythology serial on & TV channel running from Monday to Friday 09.00 PM. This serial is created by Rashmi Sharma, creative director is Bhawna Bundela and produced by Rashmi Sharma & Pawan Kumar Marut. Lead role(s) are Gracy Singh as Santoshi Mata, Ratan Rajput as Santoshi Dhairya Mishra, Ayaz Ahmed as Dhairya Raghavendra Mishra and Debina Bonnerjee as Poulomi Maa.